The high-end FAO Schwarz, meanwhile, is reopening its flagship store in New York for the holidays. 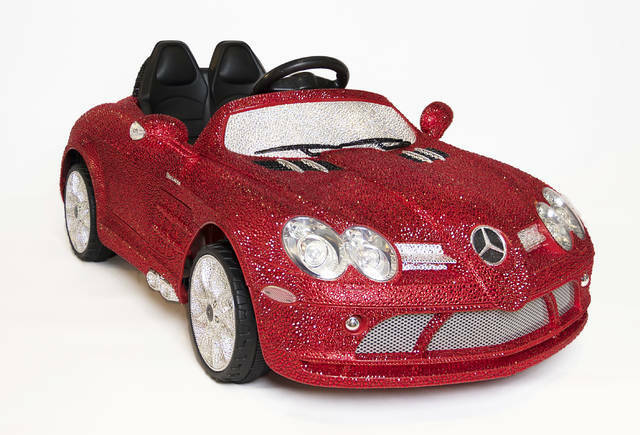 In celebration, it’s showing off a ride-on Mercedes-Benz adorned with more than 44,000 Swarovski crystals in glittery red, white and black — for a whopping $25,000. All sorts of ride-ons for kids are on the rise, said Jim Silver, CEO and editor in chief of the review blog TTPM . Generally, they’re made for an age range of 3 to 5 and have parental control options for the highest speed settings. Two rideables pack the most wow for Silver. 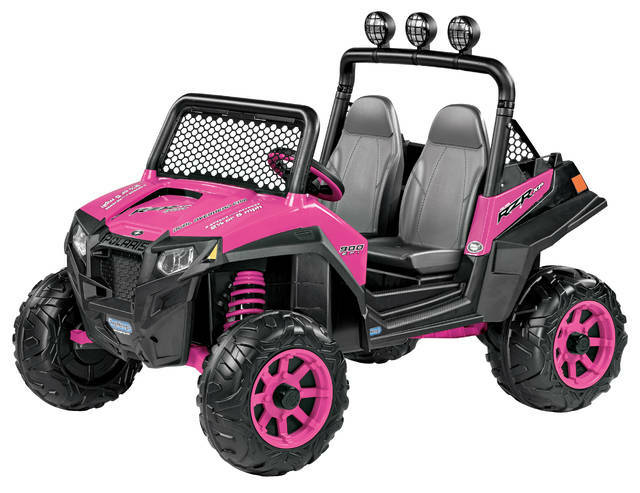 One is the Power Wheels Barbie Dream Camper by Fisher Price in her signature pink. Barbie herself offers voice navigation help at the push of a button. Come to a stop and open up the back for a fold-out kitchen with pretend grill and campfire. Play food and other accessories are included. There’s room for two kids — with a total weight limit of 130 pounds — and little seats for two Barbies to ride along. “It’s the biggest ride-on we’ve ever seen for a child,” Silver said. His other favorite is the Rideamals Scout Play & Ride Pony from Kid Trax. It features more than 100 sounds and pony-like movements. It even does a special dance. It comes up with a fake apple and carrot that come apart for feeding. A saddlebag is included. Scout’s maximum weight limit is 70 pounds. A company called Rollplay is all about the electric wheels for kids. Target has an exclusive on a white Rollplay Mercedes-Benz SUV. 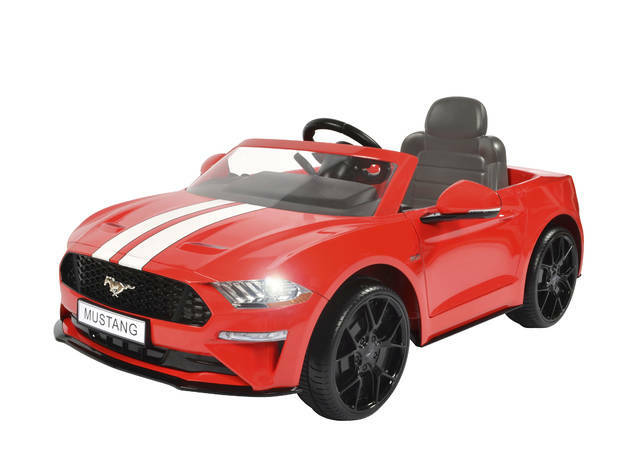 Also only at Target is a Mustang convertible, same sale price, though other Mustangs are around. Rollplay is available all over the place for ages 3 up to 5. Shop around, price wise. There’s the Rollplay Go Dino Ride-On, a desert green 4X4 with a smart-device app that sets up dinosaur hunts to take pictures with and unlock fun facts about dinos. The company’s Monster Truck comes in red with the requisite oversize wheels and white fire flame decals. Rollplay’s 3-Wheel City Scooter comes in pink and white and has a working headlight, push-button engine sounds and a horn. The company also makes ride-ons in Chevys, Mini Coopers, ATVs and Volkswagens. Don’t like the idea of going electric? Good ‘ol fashion push or pedal versions are available. The site hayneedle.com sells a nice selection, from fire trucks to princess purple coupes. Look around for the John Deere Plastic Pedal Tractor. It looks like the real thing and was on sale at Walmart.com. The company Little Tikes has been doing these things for a long time for tiny tots. Its Cozy Coupe line comes with everything from googly eyes on the front of its police patrol car to the classic red and yellow old-school version. IN THE MARKET FOR A TRIKE? You can buy what you rode as a child or you can gift one of the tricked-out transitional versions from Schwinn, Little Bambino or Joovy. All offer 4-in-1s that adjust as a child grows, with removable push handles, baby surrounds, canopies and seat pads. Seats are adjustable. They come with foot rests and pedals for when the time comes.